■ Musculoskeletal disorders (MSDs) were the most common type of work-related illness. ■ Mental ill health gave rise to most working days lost (Around 80 per cent of new work-related conditions were musculoskeletal disorders or stress, depression or anxiety). Counselling and Emotional Wellbeing Therapy for Employees. After Care: Providing individual and group assistance with the emotional tangle of post redundant feelings. Designed to empower people to re-gain confidence and to seek a fulfilling future employment or business opportunity. Our aftercare help is designed to provide individuals with support and counselling/psychotherapy after redundancy, mental health issue – physical illness- depression, stress or anxiety, workplace disagreements or management fall outs, bullying, also if staff have poor performance and suffering from personal issues, or having to leave employment for health reasons. It can also be a good idea to promote healthy living, which can help people keep fit and deal with workplace stress more effectively. You might do this by providing health information and education – or perhaps by organising mindfulness, yoga or relaxation classes. You may want to consider whether stress counselling would be appropriate for your business. Some organisations pay for confidential one-to-one counselling sessions for their employees, who can discuss both work and non-work related problems with a professional counsellor. 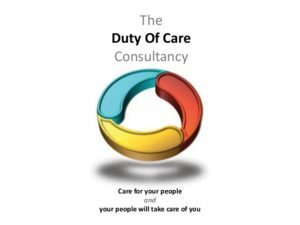 But such schemes – known as Employee Assistance Programmes – are typically used by larger businesses here I can offer a programme to organisations where a course of sessions for teams or individuals whom can obtain private and confidential safe place to off load their thoughts AND emotions.